In our last post, we began a study on 'the restrainer' of the Antichrist in II Thessalonians chapter 2. We saw that none of the normally accepted entities really fits the bill. Was this unnamed angel struggling with the human ruler of Persia? (Persia was the supreme world power at the time of Daniel’s vision.) It's doubtful. How could a human restrain an angel for twenty-one days? Besides, the same angel in Dan. 11:1 said he stood to “confirm and to strengthen” Darius, the first Medo-Persian King, from the very first year of the Persian Empire. 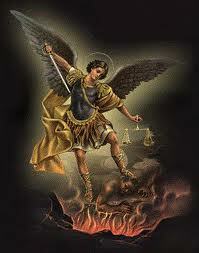 This angel was helping the human ruler of Persia while at the same time he was also fighting against the “prince of the kingdom of Persia.” It is fair to conclude that the prince of Persia was a demonic spirit that sought to turn the kingdom of Persia to evil; and this angel was assigned to restrain it. Michael appears to be superior to the angel speaking to Daniel (in strength, and possibly in rank) since he “came to help” (v. 13) him fight the prince of Persia. This passage teaches us that there are demonic spirits seeking to control governments for evil purposes, and that there are angels assigned to fight against them. In the major outline of the succession of kingdoms leading to the Antichrist, we can conclude that this restraining activity was ongoing over each of these successive kingdoms. 1. He is one of the ‘holding’ angels. It is within the context of the angelic restraint of these successive demonic powers, which seek to control the series of the world's empires leading to the Antichrist, that we find that Michael will ‘stand up’ and the time of trouble will begin. It is Michael and his armies that have been ‘holding’ at bay the demonic spirits which attempt to control the world empires. 1. Michael “standeth for” the children of Israel. That is, he is their chief defender. 2. When Michael ‘stands up,’ the trouble begins. What does it mean ‘to stand up?’ As in a spiritual wrestling match, Michael has apparently been holding down his demonic opponent. When Michael stands up, he releases his opponent to do what he will. And hence the time of trouble for Israel begins! Stay tuned for more on Michael.